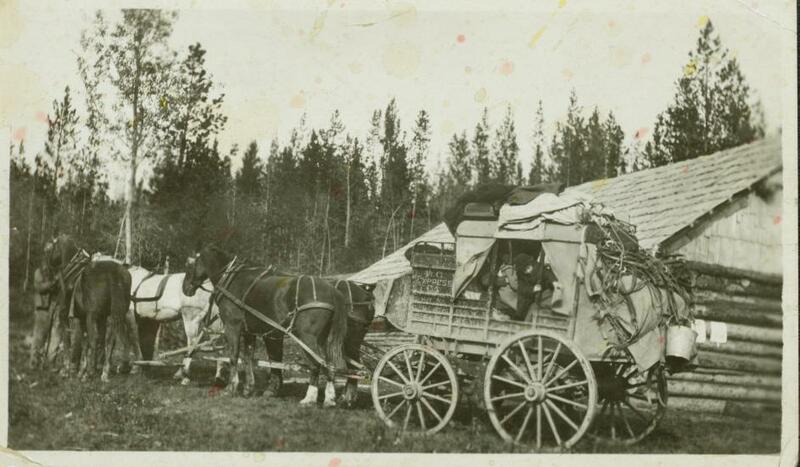 Handwritten annotation on verso: "The stage coach -Cariboo Trail - in use until ver recent years now replaced by automobiles when roads permit. Taken as (sic) Blackwater Crossing. Mr. Miller was in this stage, in 1912, a two day trip from Quesnel to Prince."